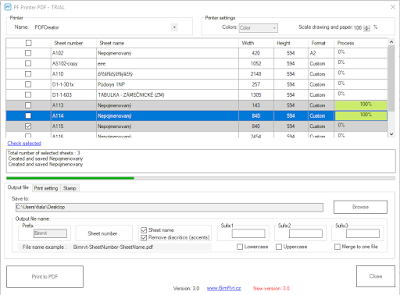 Now it's easy to select several sheets for printing to a PDF file and clicking the print button. Everything is generated automatically. The dimensions of the PDF are set as the sheet size. In a few minutes, you have all the sheets in PDF files. 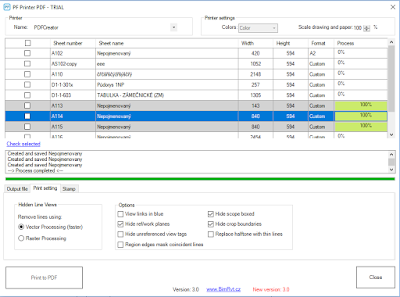 PF Printer PDF detects sheet sizes and orientation. All PDFs look the same as your sheets in Autodesk® Revit®. No need to spend time manually setting the printer, matching paper sizes or orientation, and separating print jobs. Merge all selected sheets into one PDF file. You can simply set the output directory and output file name. PDF Printer is a very easy and useful document publisher for Revit. Sheets are printed to PDF in a few seconds. It works with the most famous PDF Creator printer. Save your time and money. Before you install this plugin download free PDFCreator and install. 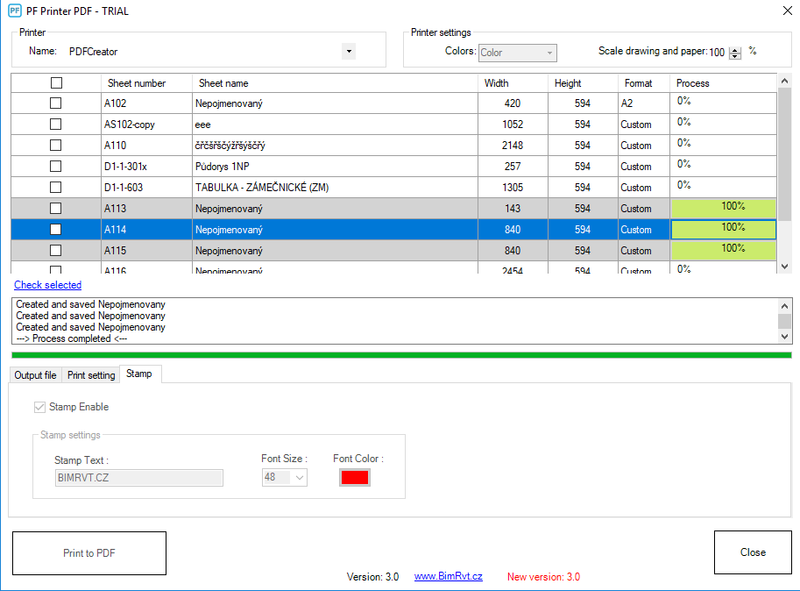 Batch printer - Print selected sheets to PDF in one click - supports standard paper sizes and also custom paper sizes - all automatically. Easy set output directory and output file name. 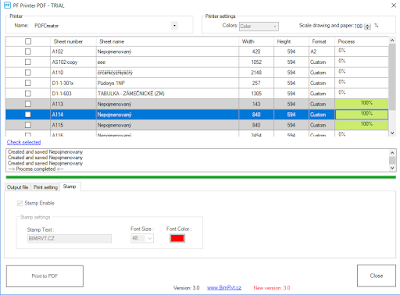 PF Printer plugin prints sheets with watermarking, preset output file name and only color mode. Added function to merge PDF files to single file. 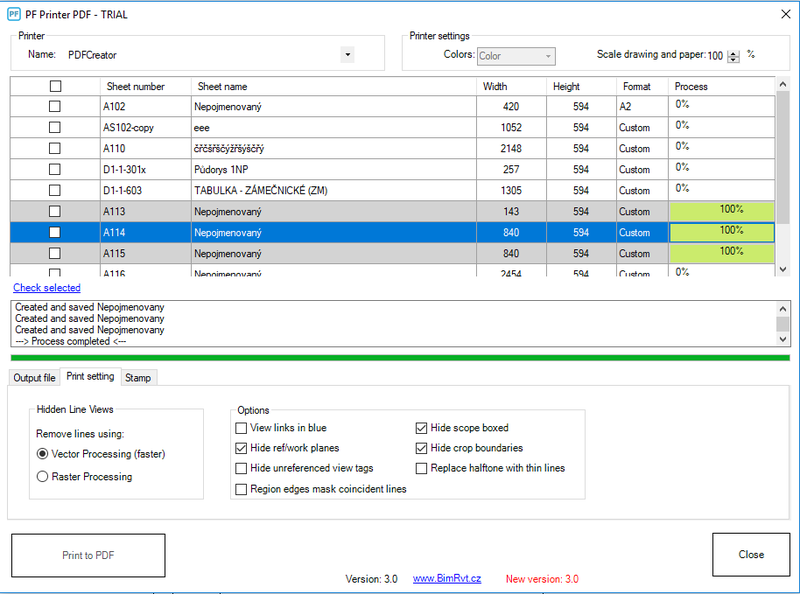 PF Printer PDF is brought to you by BIM RVT. Pricing was not known at press time.